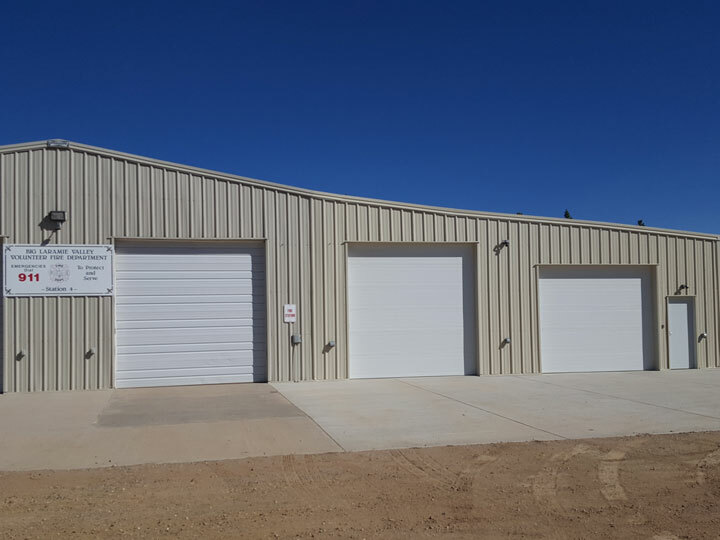 Sunward Steel Buildings, Inc. had the honor of fabricating and supplying this premanufactured metal building for a client in Laramie, Wyoming, in October of 2017. 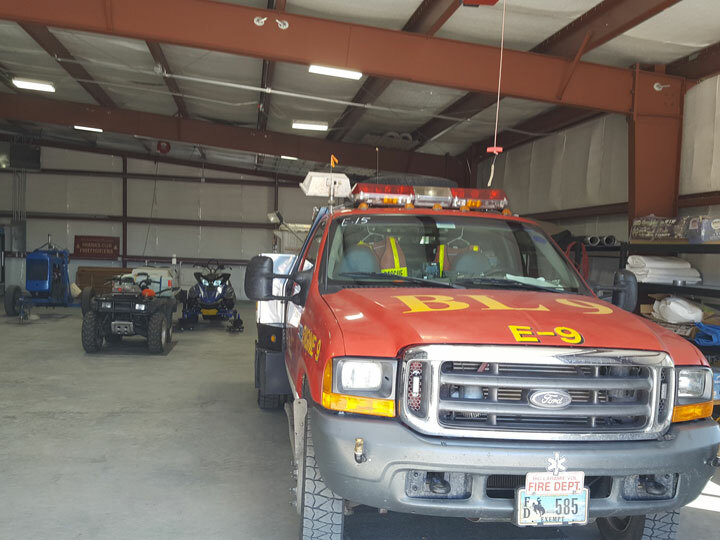 Currently, it serves as a firehouse for the Big Laramie Valley Volunteer Fire Department, which is comprised of a group of citizens who support the efforts of the Albany County Fire District #1, the U.S. Forest Service, and other agencies in need of assistance with fire suppression. 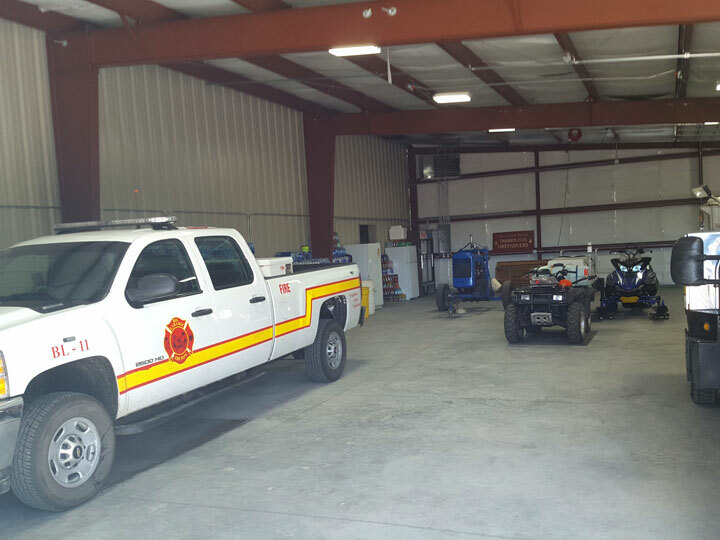 New volunteer firefighters are always welcome and appreciated, and volunteers meet twice monthly to discuss and review their efforts to protect land, rural resources and public and private property from the potentially catastrophic effects of fire and other disasters. Stone Beige in color, the pre-engineered metal firehouse is comprised of top-of-the-line steel components, and it stands 40’x70’x12.5/15.83’ once fully erect. Durable, economical and versatile, the firehouse boasts a Cinnamon Brown roof with a 1:12 pitch overhead, which provides a solid layer of protection against the often-unpredictable Wyoming elements. Distributed throughout the steel firehouse are (7) framed openings ranging in size and purpose, among them (3) 3070 openings enclosing (3) 3070 commercial door systems, (1) 12’x12’ opening enclosing (1) 12’x12’ overhead door, (1) 12’x10’ opening equipped with (1) 12’x10’ overhead door and (2) 4’x4’ windows that allow natural sunlight to enter the space. 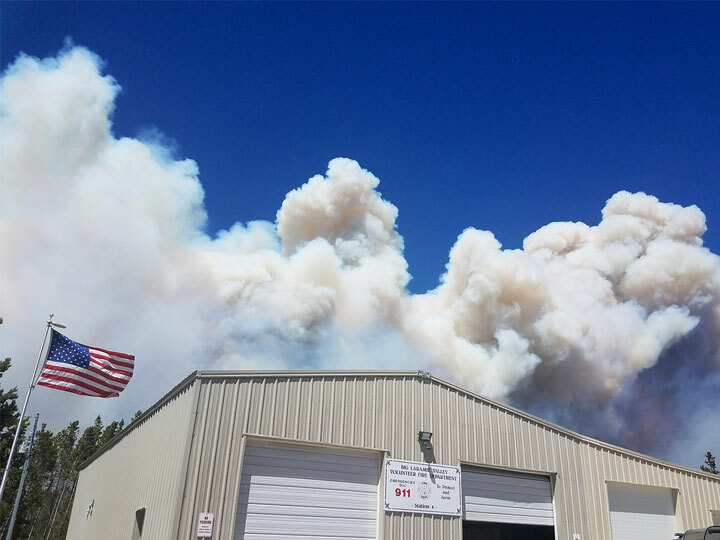 A 120-mph wind speed rating and a 50.4-psf snow load serve as additional firehouse characteristics added with regard for local building codes and the climate considerations relative to the Laramie area. The purchase and erection of this building involved a group effort, and it would not have been possible without the generous support and assistance of volunteer firefighters and the continued hard work of the Big Laramie Volunteer Fire Department Station #4 Associates, which is a fundraising group that supports the members and efforts of the volunteer fire department. 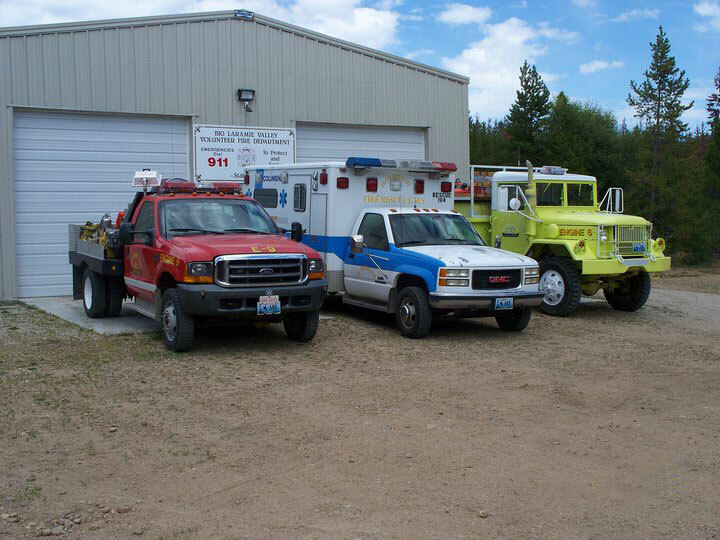 A trusted, reliable community resource since 1970, the Big Laramie Valley Volunteer Fire Department helps ensure that the community has enough firefighters on hand to fight fires and minimize the damage done by other types of disasters. For more on the Big Laramie Valley Volunteer Fire Department, check out the group’s Facebook page. To contribute or find out about aiding in future fundraising efforts on behalf of the department, use the “Send Message” feature on Facebook. Situated along southeastern Wyoming’s Laramie River, the city of Laramie falls within Albany County. The community sits west of Cheyenne and about 130 miles north of Denver, Colorado. 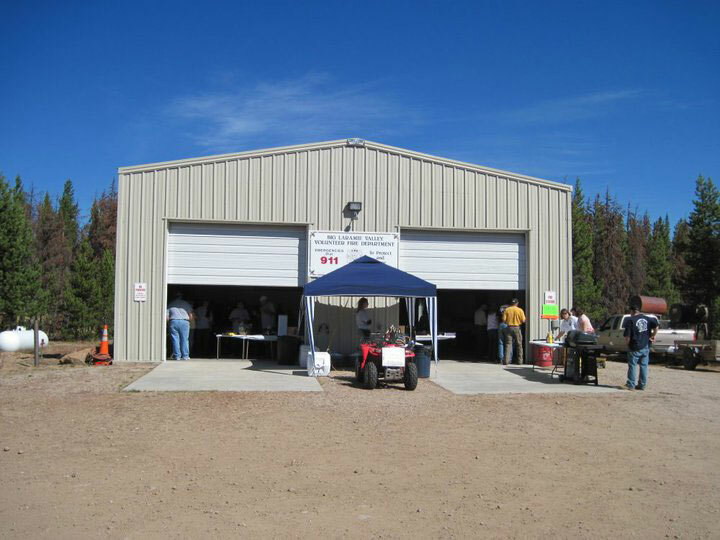 Considering purchasing a pre-engineered metal building for use in Wyoming or another part of the country? Click here for a price quote.